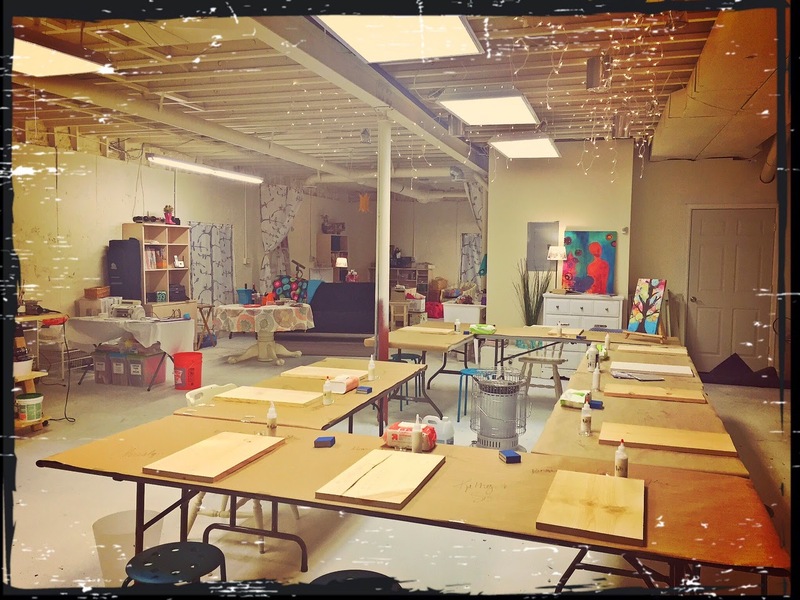 THERE ARE NO SCHEDULED OPEN STUDIO CLASSES AT THIS TIME. Starting in July, I am going to start offering "Free-Style Fridays" (or possibly "Open Studio Saturdays" when Fridays don't fit into my schedule) painting nights each month at an hourly rate of $15/hr* for up to a 16x20 size canvas (bring your own; there will be an extra charge for anything larger & I may have a small selection of sizes available for purchase); payable that night. This will be an evening where you can come in, I will show you some techniques & then you have full access to my classroom supplies to create your own vision. It's generally an intuitive night, but you may want to come with an idea in mind & I am there to help you create it. (you could even send the idea to me ahead of time so I can contemplate how to go about your vision. This night will also give people an opportunity to start a canvas & maybe come back another night to finish it – especially if it is larger than 16x20. The evening will be 100% BYOB & even if the start time is 5:30, you can come whenever is convenient to you before 7pm. The minimum # of painters will be 4 in order to hold the class & the max will be 10. I'm looking forward to your November class! It looks like a fun project.